1. Couponing appeals to my competitive nature. It feels like an enjoyably elaborate game to me—hunt for deals, gather my coupons, find everything on my list—so when I do well, I win, hahah! And this victory is especially sweet because I win ACTUAL MONEY. So it’s essentially like Monopoly on crack. And the store in question just landed on my Boardwalk with three hotels bwaaaaahahahhahaha—sorry. I frequently lapse into Monopoly fantasies. Original cost $82. I paid $14.50. 2. 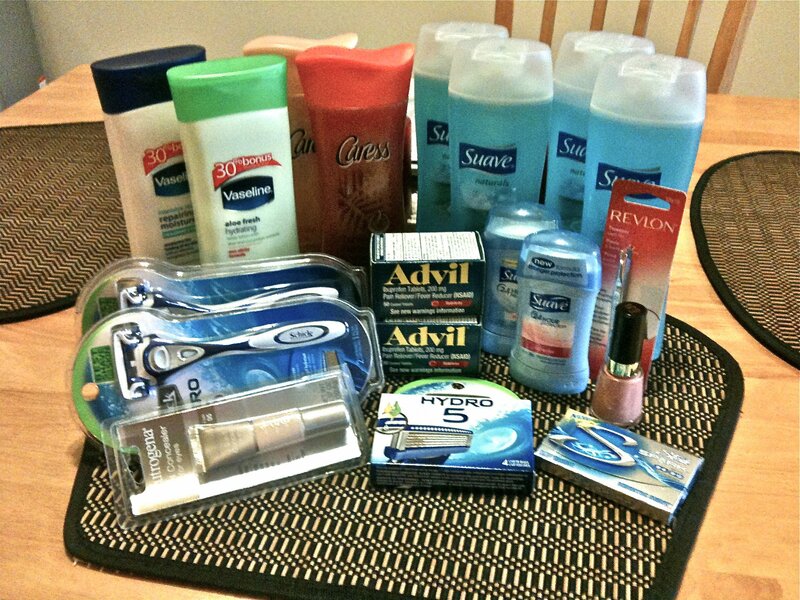 Couponing appeals to my finicky, organized nature. 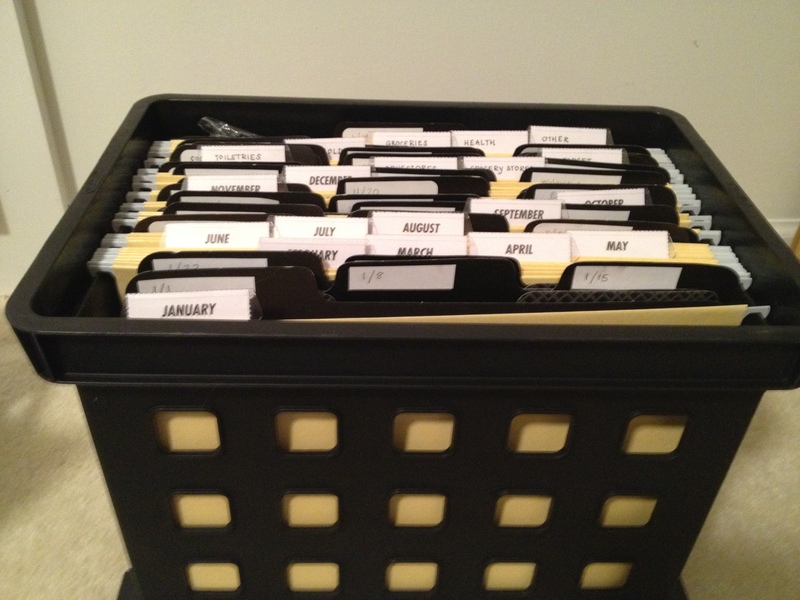 It gave me a reason to arrange this file box and write a bunch of labels. That kind of thing is, like, the chief joy of my life. Yes. I am openly admitting that. I got so excited about the folders for each month that I actually made folders for each week too. Totally unnecessary, but the heart wants what the heart wants. Check out this couponing site and others like it, which will tell you what deals are running at which stores, and which coupons from which dates and inserts you need for each deal. Decide which deals you want, cut the coupons you need, and you’re all done except for the fun shopping part. I have great success with this non-overwhelming method (not to mention, I just enjoy filing things) and it takes no more than an hour a week. Perhaps even less. Are you misting up yet? 3. Couponing appeals to my shameless-desire-for-lots-of-money nature. Now, I am told that in the music world it has been posited that mo’ money = mo’ problems, but in my own humble opinion, the author of that sentiment is just STRAIGHT TRIPPIN. I will take all the money I can get and whatever “problems” come with it. Mo’ couponing = mo’ money = mo’ stuff from Etsy, is my personal view. Speaking of which, check out my favorite Etsy purchase to date, “Picky Duck,” which continues to make me giggle like a lunatic even though it’s been hanging on my wall for months. From WhatParty, an embroidery shop par excellence.